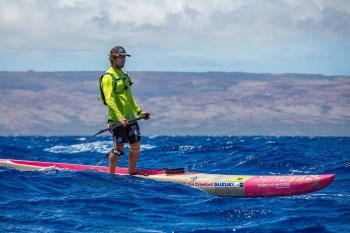 In brief: Aussie James Casey has continued his winning ways in Hawaii, with the 2017 OluKai champ taking out the M2Molokai Challenge on the weekend as the ocean paddling world gears up for a big double header later this month. 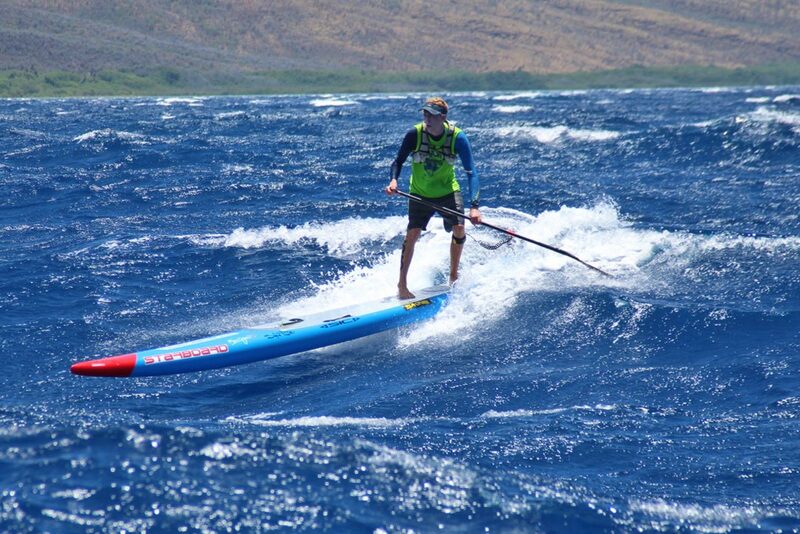 Jimmy completed the 42km (26 mile) crossing from Maui to Molokai in a time of 3 hours, 19 minutes and 9 seconds, narrowly avoiding an upset at the hands of his Team Sunova board designer Marcus Tardrew, a lesser-known but extremely talented downwind paddler who crossed less than a minute later. Maui’s Kody Kerbox restored some pride for the home team by snagging third place. The Brazilian-turned-Maui-local flew to California last week to attend the Billabong XXL Awards (the Oscars of big wave surfing), where she was nominated for surfing some ridiculously large waves during the Hawaiian winter. 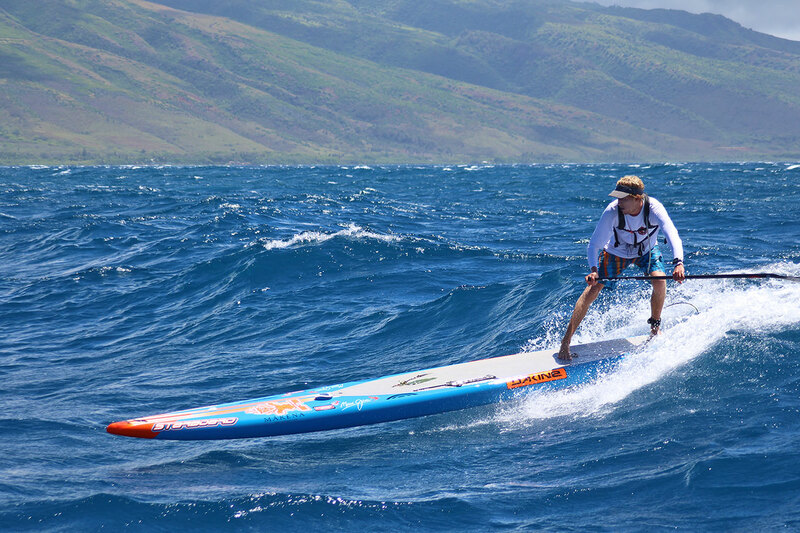 Connor Baxter and Andrea Moller have reasserted their dominance of the Hawaiian downwind scene, taking out the 2014 OluKai Ho’olaule’a in surprisingly good conditions on Maui today. 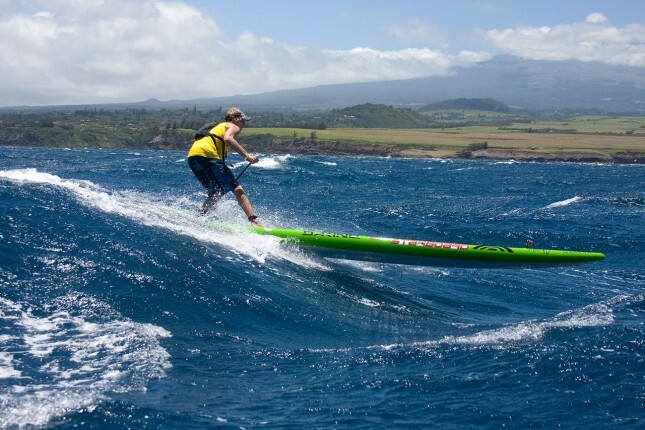 Despite Facebook being flooded with messages such as “Hey does anyone have a flat water board I can borrow? 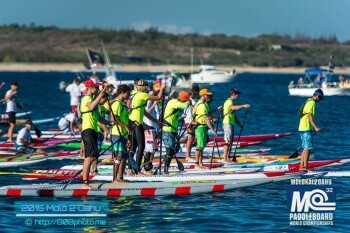 !” over the past 48 hours, the wind along the famous Maliko downwind run turned on just in time for the start of the race. Connor showed once again that he’s the King of Maliko, finishing in a very solid time of 51 minutes, over two minutes clear of the only guy who got within shouting distance of him, Aussie Travis Grant. Maliko stalwart Jeremy Riggs put in a good effort to take home third, while Kody Kerbox came home in 4th ahead of Danny Ching and Livio Menelau. 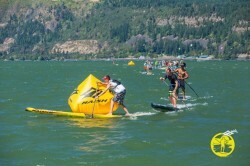 Kody Kerbox and Fiona Wylde have taken out the 2013 Naish Columbia Gorge Paddle Challenge in Hood River, Oregon ahead of a stacked local and international field. 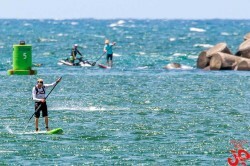 Kody beat some big names in Georges Cronsteadt and Slater Trout, while local surprise packet Fiona Wylde put in a commanding overall performance to knock off the likes of Andrea Moller, Candice Appleby and Jenny Kalmbach. 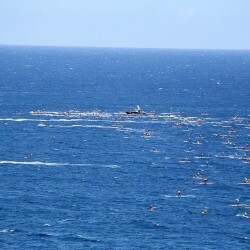 The 8th Annual Maui Paddle Championships are happening right now in Hawaii. 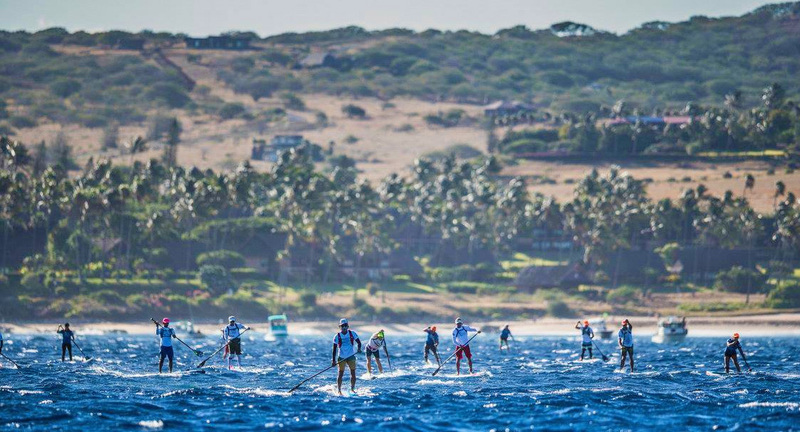 This is one of the races of the year, with an all-star local cast being joined by many of the world’s best paddlers for a race along the famous Maliko downwind run. 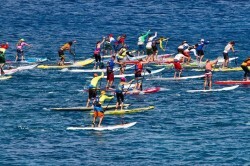 Connor Baxter and Andrea Moller have won the 2013 OluKai SUP Race on Maui, holding off an elite field of paddlers to defend their respective titles.